What are the motivations behind portraying architectural ornaments? For a change of focus from my previous posts, this week I have decided to contribute my own drawings to the discussion, but first let me address the topic at hand. 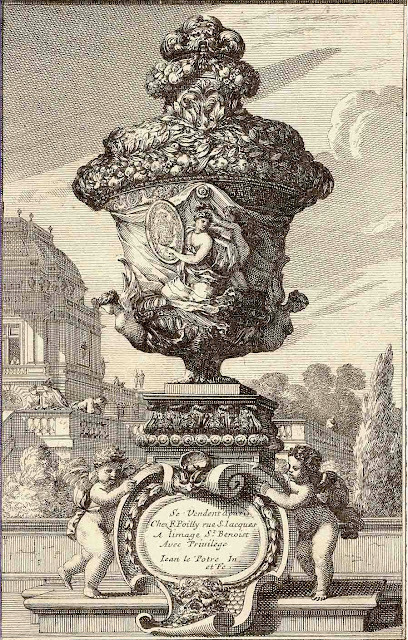 There is a long tradition in the graphic arts of portraying architectural ornaments, such as, column capitals, urns, volutes and cornucopia. Sometimes these forms are used to reference the spirit of a classical past in terms of contextualising them with classically attired staffage and settings. 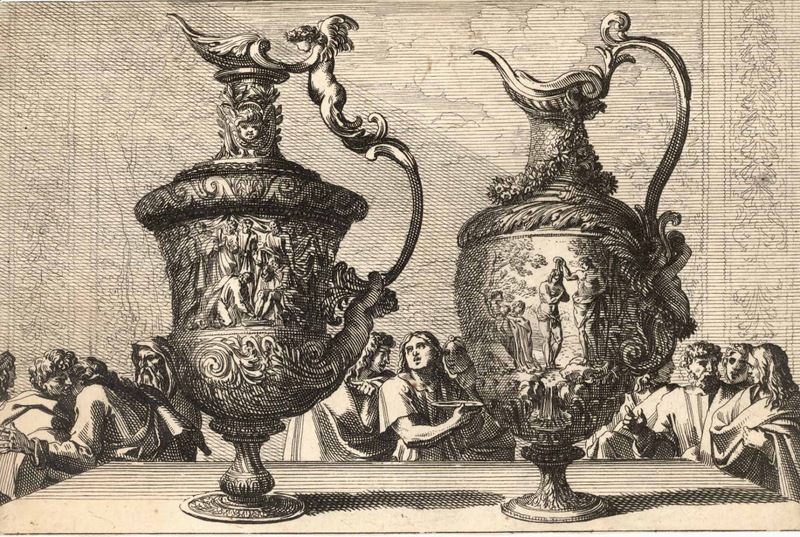 For example, Aegidius Sadeler’s (1570–1629) engravings of monumental vases after drawings and designs by Polidoro da Caravaggio (c.1492–1543) and Jean Le Pautre’s (1618–82) engravings featuring urns so large that they dwarf the folk mingling beneath them (see below). 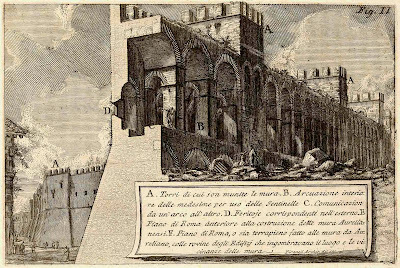 Other artists portray architectural forms for scientific illustration particularly in the field of archaeological documentation. 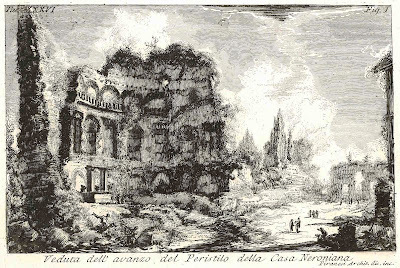 The most famous of these illustrators, Giovanni Battista Piranesi (1720–78), goes further than simply depicting the forms. He adds drama to their portrayal with strong lighting and curious viewpoints. He also projects the idea that the featured architecture is in a state of transience (the notion of vanitas that was popular at the time) by focusing on cracks, crumbling edges and vegetation taking root within stonework. 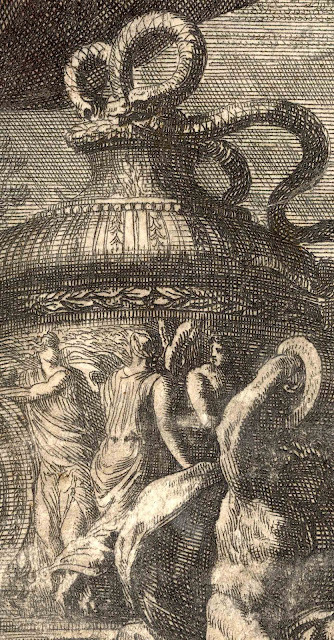 Published by Charles Antoine Jombert Paris in 1751 for"Oeuvres d'architecture de Jean Le Pautre..."
Condition: strong impression on laid paper with watermark. The print is in pristine condition and is cut on or inside the plate mark. Condition: slightly rubbed but otherwise a good impression on laid paper. The print is cut on or inside the plate mark and has two 1.5 cm tears towards the middle-left and a 3.5 cm tear on the upper right. Condition: strong impression on laid paper. The print is cut well inside the plate mark and is in pristine condition. I am selling the three above Le Pautre prints for the combined total price of $115 AUD including postage and handling to anywhere in the world. Please contact me using the email link at the top of the page if you are interested or click the "Buy Now" button below. 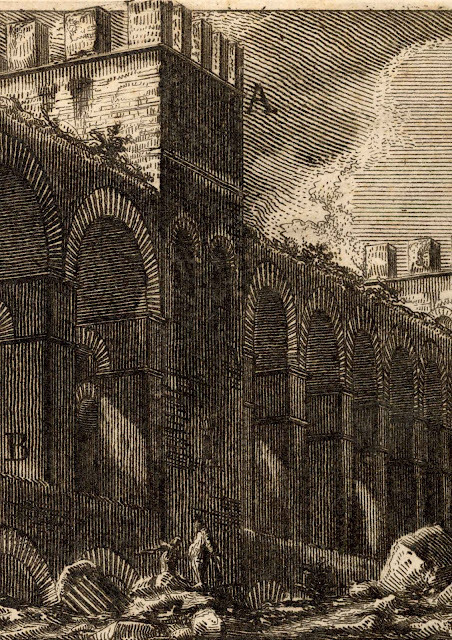 Condition: marvellous impression on laid paper with 3 cm chainlines and wide margins. The print has light scattered stains lower centre that are well away from the image. There are hinge marks from previous mounting, pencil notation “F. 158”, an ink inscription “GB Piranesi” on the far left corner, a previous collector’s ink stamp and signature on verso and the same collector’s ink monogram on the far right corner. Condition: marvellous impression with wide margins. The print is in pristine condition. There are hinge marks from previous mounting, pencil notation “16-I-61” on the bottom edge, a previous collector’s ink stamp and signature on verso and the same collector’s ink monogram on the far right corner. 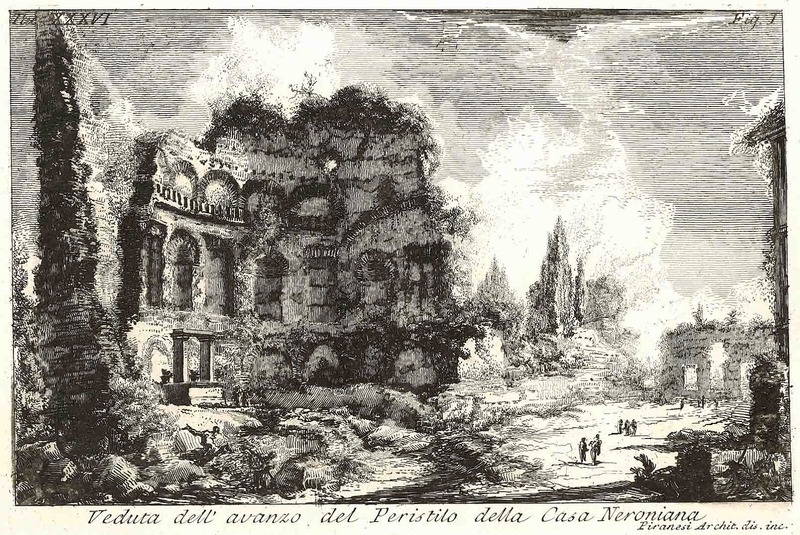 I am selling the two above Piranesi prints for the combined total price of $450 AUD including postage and handling to anywhere in the world. Please contact me using the email link at the top of the page if you are interested or click the “Buy Now” button below. Although the motivations behind the tradition of portraying architectural ornaments have shifted over the centuries, three hallmarks of the tradition are constant and still resonant: objectivity, accuracy and clarity of visual expression. These hallmarks certainly underpin my two drawings: Finial showing the urn-shaped base of an ornament that once crowned a building façade and Finial Crown showing the conventionalised acorn-shaped upper section of the same ornament (see images below). For instance, both drawings feature the subject centred horizontally on the page. By design, this symmetrical arrangement presents the subject in an objective way (i.e. the arrangement presents the subject as a specimen without subjective meanings). 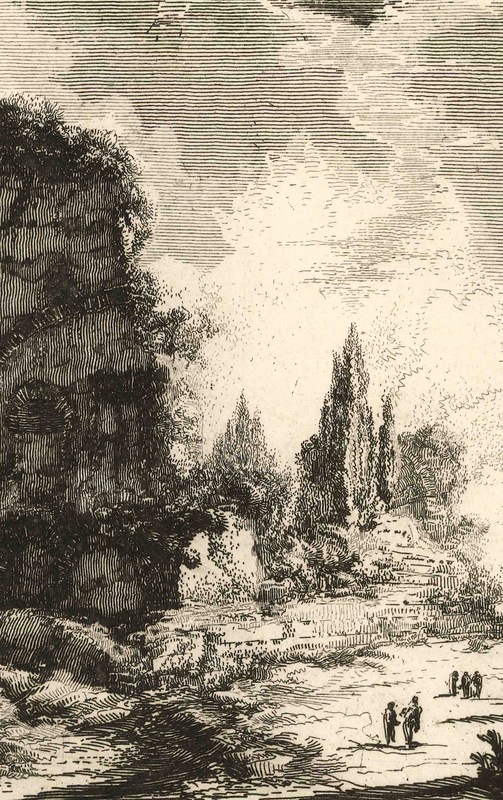 The drawings also exhibit traces of the initial stage of the drawing process as can be seen in the faint horizontal and vertical measurement lines laid before the formal rendering of the subject commenced. Again, by design, the retention of these early construction marks hints at the care taken with measuring and plotting proportions and attests to the second hallmark attribute: accuracy. 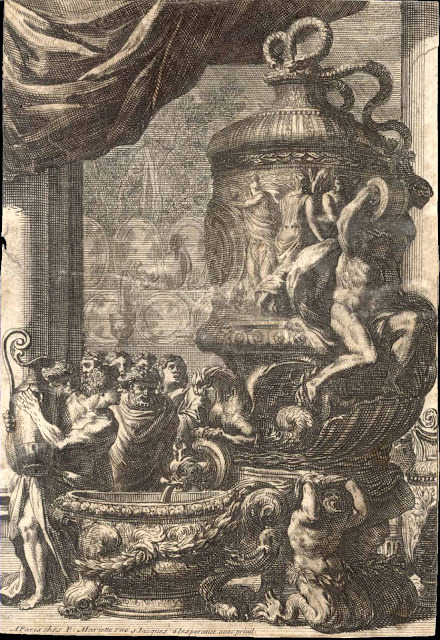 Regarding the final hallmark, clarity of expression, the drawings follow the Western convention of lighting a subject from the top-front-left—a convention based on a left-to-right reading direction—that facilitates a viewer’s understanding of the finial’s form. 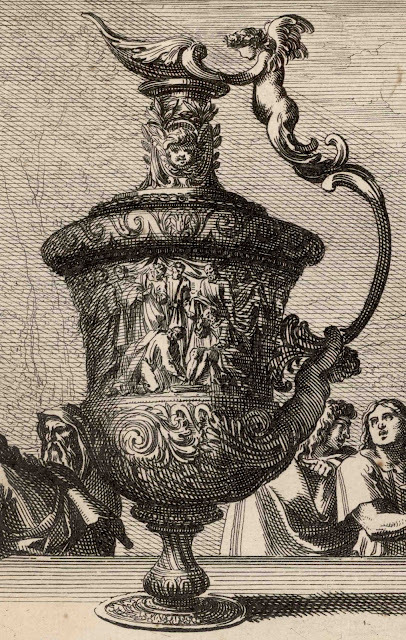 Of course, there is more to these drawings of the finial than simply reflecting the tradition of depicting such an object. 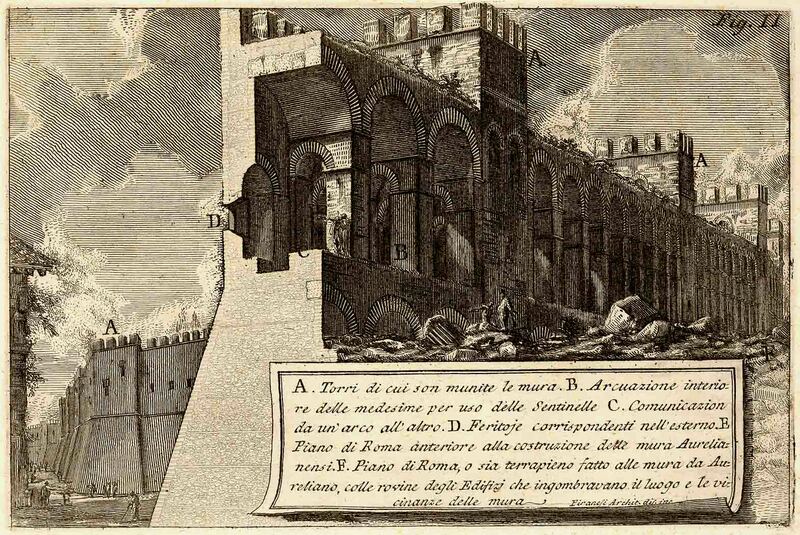 The central motivation behind their execution is to explore ways to portray the non-visual element of an aura of presence that the artist perceived—a legacy extending from the note of drama that Piranesi imbues his prints. Interestingly, this element is easier to express by not engaging in aesthetic arrangement and contextualisation with other objects. Based on the explorations with these drawings, the projection of an aura of presence seems to arise from the treatment of the subject itself. For instance, the choice of colour and the transparency of the medium, the lighting angle and strong tonal contrast all play integral roles.